This week, Switzerland’s Federal Office of Public Health (FOPH) issued a statement recommending vaccination against tick borne encephalitis for those living in or visiting nearly all of Switzerland. 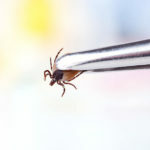 The vaccination is recommended for all people exposed to ticks in Switzerland and anyone living in or visiting any Swiss canton other than the cantons of Geneva and Ticino. The people most at risk are those who spend time outside, particularly in and around fields and forests. Ticks live mainly in forest undergrowth and long grass. They generally climb up to 1.5 metres from the ground and leap onto victims as they brush past. They often go unnoticed because of they excrete an anesthetic before penetrating the skin. 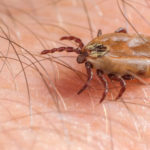 The FOHP recommends getting vaccinated in winter in preparation for the height of the tick season, which runs from April to October. Vaccination, which lasts 10 years and requires three shots over nine to twelve months, is generally recommended for everyone six years old and over. Last year a record 377 cases of the potentially fatal and untreatable disease were reported in Switzerland, 40% more than in 2017 and three times the number in 2015. Symptoms include fever, achiness, loss of appetite, headache, nausea, and vomiting. Swelling of the brain and spinal cord, confusion, and sensory disturbances occur in 20% to 30% of people. 1% of those infected die from the infection. There is no treatment for tick borne encephalitis. 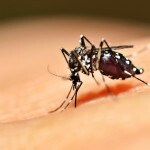 In January 2019, the FOPH announced the vaccination against tick borne encephalitis is now covered by basic Swiss health insurance. For those with high deductibles, who are unable to claim, it is worth inquiring at pharmacies. Some offer this vaccination more cheaply than getting it via a doctor.